The Boston Terrier is a dog breed having originated in the U.S. The breed originated in 1870 when a dog named Judge, who was of the Bull and Terrier type lineage had offspring who interbred with one or more French Bulldogs. This provided the foundation for the Boston Terrier. The original Boston Terriers weighed up to 44 pounds. Eventually the dogs were bred down in size from fighting dogs of the Bull and Terrier type. 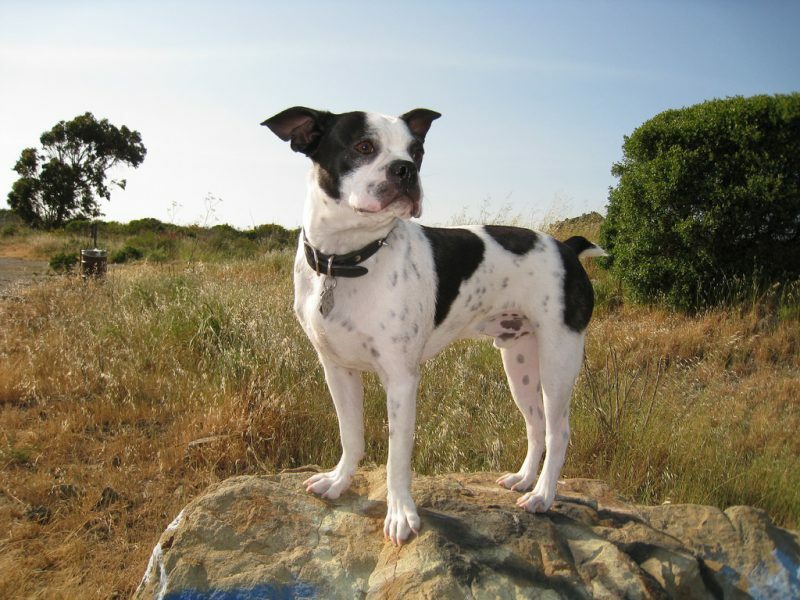 The Boston Terrier was the first non-sporting dog bred in the U.S. The Boston terrier should be compactly built. They should have erect, well-proportioned ears, a short tail, and a muzzle that is short and normally free of wrinkles. The dog stands 15-25 inches at the withers and should not weigh more than 25 pounds. This breed is characteristically colored with white in proportion to either black, brindle, seal, or any combination of the three. An ideal Boston Terrier should have a white coat covering its chest, muzzle, and a band around the neck. It should also have white halfway up the forelegs, up to the hocks on its rear legs, and a white blaze between, though not touching the eyes. Because of the breeds coloring resembling formal wear, it is commonly referred to as the “American Gentleman”. This breed is friendly, strong, and happy-go-lucky in its personality. These dogs are eager to please their masters and are easily trained. Aggressive and territorial behavior can occur towards other pets and strangers, due to the protectiveness towards their family. They were originally bred for fighting and hunting rats in garment factories, but were later bred down for companionship. This breed is normally a quiet breed and only bark when it is necessary. However early training in this regard is suggested. Because of their lack of barking, they make excellent choices for those who live in apartments. If properly socialized, the Boston Terrier enjoys being around people, gets along well with children, the elderly, other dogs, and other non-canine pets. The Average life span of the breed is around 11-15 years, though some can live well into their teens. Some common health concerns with the breed include; luxating patellas, deafness, heart murmers, mast cell tumors, allergies and can be prone to reverse sneezing.